These are some of the Interview questions we were using while conducting L1, L2 & L3 level interviews, I’ll not posting any answers to these questions as it’s open up to you to search and find the answers. It will help you to understand the topic and you’ll remember the answers all the time. What is the difference between kernel image and initrd image? Why is root file system mounted read-only initially? What will happen if it is mounted read-write? Which log files holds the information of currently logged users? What is called a fork bomb?What is its relevance? What is the difference between commands last and lastb? How do you ensure your users have hard-to-guess passwords? What is log rotate and Why is it used in a Linux system? How will you increase the priority of a process? What is the range for the priority of the processes? I have a file named “/ \+Xy \+\8_/ \” How do I get rid of it? What does the command pvscan do? How will you probe for a new SCSI drive? How will you take a system backup image for recovery? What will the command chage –E -1 do? What will the command option –a will do for usermod? What is the command gpasswd? When debugging a core in gdb, what does the command `bt` give? What do you mean by man (1) (5) and (8)? How many fields in crontab and what are those? To display a list of all manual pages containing the keyword “date”, which commad can be used? What do you mean by restricted deletion flag? What’s the difference between `telnet` and `ssh`? What’s a good use for each? What will vgcfgbackup and vgcfgrestore do and can you explain with a scenario? What is the difference between insmod and modprobe? What to do if the newly built kernel does not boot? What are TCP wrappers? What is the library responsible for TCP wrappers? In how many ways you can block the traffic to ssh from a specific host? How will you run ssh in debugging mode to identify a failure in establishing a connection? Which file is responsible for kernel parameter changes? What do you mean by hardening of a Linux server?How will you achieve this? How will you tune a Linux server for maximum performance? What is the use of commands clustat clusvcadm? What is multipathing?Why is it used? What is black-listing of devices in multipath? Which command will display the current multipath configuration gathered from sysfs, the device mapper, and all other available components on the system? What is multipath interactive console? How will you create a GFS file system? What is called NIC bonding or teaming? How will you repair a GFS file system? How do you read arguments in a shell program? How do you send a mail message to somebody within a script? Which command is used to count lines and/or characters in a file? How do you start a process in the background? How will you define a function in a shell script? How do you get character positions 10-20 from a text file? What do you mean by getopts? How do you test for file properties in a shell script? How will you define an array? How can you take in key-board inputs to a shell script? What is meant by traps in a shell scripts? Is it possible to use alphanumeric in for loop? Write a script to check no of machines up in network ( Provided list of hosts are available in a file)? if u have f1;f2;f3 words, need to display f3 first then f1 and at last f2 using a script? Print the numbers of 1 to 1000 in the format 0001,0002,0003………1000? The magic SysRq key is a key combination in the Linux kernel which allows the user to perform various low-level commands regardless of the system’s state. It is often used to recover from freezes or to reboot a computer without corrupting the filesystem. The key combination consists of Alt+SysRq+commandkey. In many systems, the SysRq key is the PrintScreen key. ’s’ – This will attempt to sync all the mounted file system. ’s’ – sync all mounted file systems. ‘u’ – Remount all mounted filesystems in read-only mode. ‘0-9′ – Sets the console log level, controlling which kernel messages will be printed to your console. ‘f’ – Will call oom_kill to kill a process which takes more memory. We can also do this by echoing the keys to the /proc/sysrq-trigger file. For example, to reboot a system you can perform the following. The common problem users or admins run into when first dealing with a Linux machine is how to find the files they are looking for. We discuss here the GNU/Linux find command which is one of the most important and much-used commands in Linux systems. find is used to search and locate a list of files and directories based on conditions you specify for files that match the arguments. Find can be used in a variety of conditions like you can find files by permissions, users, groups, file type, date, size and other possible criteria. In the above example if we replace -type f to -type d find will look for only directories. Search under /home for files greater than 100MB, where c stands for bytes. The below script will display every directory under the directory given as an argument to this script with its size sorted by the largest at the bottom. The following two commands helps you in detecting the empty files. This command helps in identifying the files and folders against selinux details. We need to edit the /etc/sysctl.conf file to make this changes persistent across reboot. The Product Name will tell you server details like its is VMWare, HP Proliant, Dell Poweregde etc. the ethtool provides the details of all your network interface. -d ” ” will seperate the contents by a single space instead of a tab which is default. This command will run top 2 times and wait 5 seconds between each output. A Linux server, like any other computer you may be familiar with, runs applications. To the computer, these are considered “processes”. While Linux will handle the low-level, behind-the-scenes management in a process’s lifecycle, you will need a way of interacting with the operating system to manage it from a higher-level. In this post, we will discuss some simple aspects of process management. 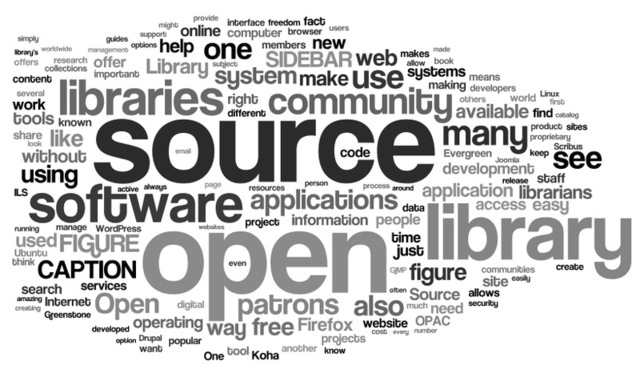 Linux provides an abundant collection of tools for this purpose. The top chunk of information gives system statistics, such as system load and the total number of tasks. You can easily see that there is 2 running process, and 87 processes are sleeping (aka idle/not using CPU resources). The bottom portion has the running processes and their usage statistics. Though top gives you an interface to view running processes based on ncurses. This tool is not always flexible enough to adequately cover all scenarios. A powerful command called ps is often the answer to these problems. This output shows all of the processes associated with the current user and terminal session. This makes sense because we are only running bash, sudo and ps with this terminal currently. We can run ps command with different options to get a complete picture of the processes on this system. BSD style – The options in bsd style syntax are not preceded by a dash. UNIX/LINUX style – The options in Linux style syntax are preceded by a dash as usual. It is okay to mix both the syntax styles on Linux systems. For example “ps au -x”. In this post, we’re using both style syntaxes. These options tell ps to show processes owned by all users (regardless of their terminal association) in a user-friendly format. As you can see, the process sshd is shown to be a parent of the processes like bash, su, sudo, and ps ajx itself. Use -u option to displays the process that belongs to a specific username. When you have multiple usernames, separate them using a comma. The example below displays all the process that are owned by user wwwrun, or postfix. The following example shows that all the processes which have tatad.pl in its command execution. The following method is used to get a list of processes with a particular PPID. The example below displays the process Id and commands in a hierarchy. –forest is an argument to ps command which displays ASCII art of process tree. From this tree, we can identify which is the parent process and the child processes it forked in a recursive manner. If you want the get the elapsed time for the processes which are currently running ps command provides etime which provides the elapsed time since the process was started, in the form [[dd-]hh:]mm: , ss. The below command displays the elapsed time for the process IDs 1 (init) and process id 29675. For example “10-22:13:29? in the output represents the process init is running for 10days, 22hours,13 minutes and 29seconds. Since init process starts during the system startup, this time will be same as the output of the ‘uptime’ command. You can get a list of threads for the processes. When a process hangs, we might need to identify the list of threads running for a particular process as shown below. A memory leak, technically, is an ever-increasing usage of memory by an application. With common desktop applications, this may go unnoticed, because a process typically frees any memory it has used when you close the application. However, In the client/server model, memory leakage is a serious issue, because applications are expected to be available 24×7. Applications must not continue to increase their memory usage indefinite because this can cause serious issues. To monitor such memory leaks, we can use the following commands. In the above ps command, –sort option outputs the highest %MEM at the bottom. Just note down the PID for the highest %MEM usage. Then use ps command to view all the details about this process id, and monitor the change over time. You had to manually repeat ir or put it as a cron to a file. b) “ps -aux” alone isn’t enough to tell you if a process is thrashing (although, if your system *is* thrashing, “ps -aux” will help you identify the processes experiencing the biggest hits). Note: In the above output, if RSS (resident set size, in KB) increases over time (so would %MEM), it may indicate a memory leak in the application. The following command displays all the process owned by Linux username: oracle. Following command displays all the process owned by the current user. The ps command can be configured to show a selected list of columns only. There are a large number of columns to to show and the full list is available in the man pages. The following command shows only the pid, username, cpu, memory and command columns. In Linux and Unix-like systems, each process is assigned a process ID, or PID. This is how the operating system identifies and keeps track of processes. The first process spawned at boot, called init, is given the PID of “1”. This process is then responsible for spawning every other process on the system. The later processes are given larger PID numbers. A process’s parent is the process that was responsible for spawning it. If a process’s parent is killed, then the child processes also die. The parent process’s PID is referred to as the PPID. The process is either running (it is the current process in the system) or it is ready to run (it is waiting to be assigned to one of the system’s CPUs). The process is waiting for an event or for a resource. Linux differentiates between two types of waiting process; interruptible and uninterruptible. Interruptible waiting processes can be interrupted by signals whereas uninterruptible waiting processes are waiting directly on hardware conditions and cannot be interrupted under any circumstances. The process has been stopped, usually by receiving a signal. A process that is being debugged can be in a stopped state. This is a halted process which, for some reason, still has a task_struct data structure in the task vector. It is what it sounds like, a dead process. Z defunct (“zombie”) process, terminated but not reaped by its parent. This sends the TERM signal to the process. The TERM signal tells the process to please terminate. This allows the program to perform clean-up operations and exit smoothly. This is a special signal that is not sent to the program. Instead, it is given to the operating system kernel, which shuts down the process. This is used to bypass programs that ignore the signals sent to them. Each signal has an associated number that can be passed instead of the name. For instance, You can pass “-15” instead of “-TERM”, and “-9” instead of “-KILL”. Signals are not only used to shut down programs. They can also be used to perform other actions. For instance, many daemons will restart when they are given the HUP or hang-up signal. Apache is one program that operates like this. The above command will cause Apache to reload its configuration file and resume serving content. The conventional way of sending signals is through the use of PIDs, there are also methods of doing this with regular process names. Some processes might be considered mission critical for your situation, while others may be executed whenever there might be leftover resources.You will want to adjust which processes are given priority in a server environment. Linux controls priority through a value called niceness. High priority tasks are considered less nice, because they don’t share resources as well. Low priority processes, on the other hand, are nice because they insist on only taking minimal resources. Nice values can range between “-19/-20” (highest priority) and “19/20” (lowest priority) depending on the system. This only works while executing a new program. Modules are pieces of code that can be loaded and unloaded into the kernel upon demand. They extend the functionality of the kernel without the need to reboot the system. But you can also add code to the Linux kernel while it is running. A chunk of code that you add in this way is called a loadable kernel module. These modules can do lots of things, but they typically are one of three things: 1) device drivers; 2) filesystem drivers; 3) system calls. The kernel isolates certain functions, including these, especially well so they don’t have to be intricately wired into the rest of the kernel. For example, one type of module is the device driver, which allows the kernel to access hardware connected to the system. Without modules, we would have to build monolithic kernels and add new functionality directly into the kernel image. Besides having larger kernels, this has the disadvantage of requiring us to rebuild and reboot the kernel every time we want new functionality. Loadable kernel modules are often called just kernel modules or just modules, but those are rather misleading terms because there are lots of kinds of modules in the world and various pieces built into the base kernel can easily be called modules. We use the term loadable kernel module or LKM for the particular kinds of modules this post is about. Some people think of LKMs as outside of the kernel. They speak of LKMs communicating with the kernel. This is a mistake; LKMs (when loaded) are very much part of the kernel. The correct term for the part of the kernel that is bound into the image that you boot, i.e. all of the kernel except the LKMs, is “base kernel.” LKMs communicate with the base kernel. Only the first of these is really useful in discussing LKMs. But even choosing this definition, people are often confused when it comes to LKMs. LKMs did not exist in Linux in the beginning. Anything we use as LKM for today was built into the base kernel at kernel build time instead. LKMs have been around at least since Linux 1.2 (1995). it knows that the generic identifier refers to the module softdog.ko. Next, modprobe looks through the file /lib/modules/version/modules.dep, to see if other modules must be loaded before the requested module may be loaded. This file is created by depmod -a and contains module dependencies. For example, msdos.ko requires the fat.ko module to be already loaded into the kernel. The requested module has a dependency on another module if the other module defines symbols (variables or functions) that the requested module uses. What we’ve seen here is: insmod requires you to pass it the full pathname and to insert the modules in the right order, while modprobe just takes the name, without any extension, and figures out all it needs to know by parsing /lib/modules/version/modules.dep. Linux distros provide modprobe, insmod and depmod as a package called module-init-tools. In previous versions that package was called modutils. Some distros also set up some wrappers that allow both packages to be installed in parallel and do the right thing in order to be able to deal with 2.4 and 2.6 kernels. Users should not need to care about the details, as long as they’re running recent versions of those tools. The modprobe utility is used to add and remove kernel modules to/from linux kernel. Linux kernel modules have .ko as module name extension. ‘modprobe’ is intelligent enough to load the dependency of a kernel module(if any) first and then loads the actual module. The modprobe can also be used to remove the loaded module. Or in other words we can unload a loaded module through modprobe using the -r option. The above command unloads a currently loaded module ‘lkm’ from kernel. Sometimes we face problems like module not being loaded properly etc. In that case it becomes very important to debug and know the level at which the problem exists. It becomes crucial to know whether the problem is before loading or after loading. To facilitate this type of debugging, there exists option -n which if used, forces modprobe to do everything else except the final stage of loading the module. I used the -v option along with -n so that some debugging info could be spitted out by modprobe. Usually in some error condition, the modprobe utility would try to output some error info. If that kind of info is not needed, then the -q option is used to suppress this kind of info. FATAL: Module lk not found. So we see that in the above output, when the command was run without the -q option then an error was thrown while when -q was used the error got suppressed. -v –verbose Print messages about what the program is doing. Usually modprobe only prints messages if something goes wrong.This option is passed through install or remove commands to other modprobe commands in the MODPROBE_OPTIONS environment variable. -C –config This option overrides the default configuration directory/file (/etc/modprobe.d or /etc/modprobe.conf). This option is passed through install or remove commands to other modprobe commands in the MODPROBE_OPTIONS environment variable. -c –showconfig Dump out the effective configuration from the config directory and exit. -n –dry-run This option does everything but actually insert or delete the modules (or run the install or remove commands). Combined with -v, it is use-ful for debugging problems. -i –ignore-install –ignore-remove This option causes modprobe to ignore install and remove commands in the configuration file (if any) for the module specified on the command line (any dependent modules are still subject to commands set for them in the configuration file). -q –quiet Normally modprobe will report an error if you try to remove or insert a module it can’t find (and isn’t an alias or install/remove command). With this flag, modprobe will simply ignore any bogus names (the kernel uses this to opportunistically probe for modules which might exist). -r –remove This option causes modprobe to remove rather than insert a module. If the modules it depends on are also unused, modprobe will try to remove them too. Unlike insertion, more than one module can be specified on the command line (it does not make sense to specify module parameters when removing modules).There is usually no reason to remove modules, but some buggy modules require it. Your kernel may not support removal of modules. -f –force Try to strip any versioning information from the module which might otherwise stop it from loading: this is the same as using both –force-vermagic and –force-modversion. Naturally, these checks are there for your protection, so using this option is dangerous. insmod command is used to insert modules to Linux kernel. The following command insert the module airo to the Linux kernel. Once you’ve inserted the module, use lsmod command to verify that the module has been inserted successfully as shown below. Note: It is recommended that you use modprobe command for all your Kernel module manipulation, including inserting a module. All the modules that are available to be inserted to the kernel are listed in the modules.dep file as shown below. If there are any arguments that needs to be passed for the module, give that as 3rd option as shown below. The following command insert the module dummy to the Linux kernel. In this example, the dummy module takes two arguments type and debug. You can set the values for type and debug arguments and pass it to dummy module as shown below. Let us assume that you want to insert a pcmcia module called ‘axnet_cs’. Following is the full path of this file. Use insmod – and enter the module name interactively. Or, you can use < to give the module name as shown below. Verify to make sure the module got inserted successfully. Each Linux/Unix process has 3 UIDs associated with it. Superuser privilege is UID=0. This is the UID of the user/process that created THIS process. It can be changed only if the running process has EUID=0. This UID is used to evaluate privileges of the process to perform a particular action. EUID can be changed either to RUID, or SUID if EUID!=0. If EUID=0, it can be changed to anything. If the binary image file, that was launched has a Set-UID bit on, SUID will be the UID of the owner of the file. Otherwise, SUID will be the RUID. What is the idea behind this? Normal programs, like “ls”, “cat”, “echo” will be run by a normal user, under that users UID. Special programs that allow the user to have controlled access to protected data, can have Set-UID bit to allow the program to be run under privileged UID. After that, “passwd” process will be able to access /etc/passwd and change password for user “ajoy”. Note that user “ajoy” cannot write to /etc/passwd on it’s own. Note one other thing, setting a Set-UID on an executable file is not enough to make it run as a privileged process. The program itself must make a system call. NAME full path of the file name. Simply typing lsof will provide a list of all open files belonging to all active processes. By default, one file per line is displayed. Most of the columns are self-explanatory. We will explain the details about a couple of cryptic columns (FD and TYPE). The lsof command by itself without may return lot of records as output, which may not be very meaningful except to give you a rough idea about how many files are open in the system at any given point of view as shown below. Use lsof –u option to display all the files opened by a specific user. You can list the processes which opened files under a specified directory using ‘+D’ option. +D will recurse the sub directories also. If you don’t want lsof to recurse, then use ‘+d’ option. You can list the files opened by process names starting with a string, using ‘-c’ option. -c followed by the process name will list the files opened by the process starting with that processes name. You can give multiple -c switch on a single command line. Sometime when we try to umount a directory, the system will say “Device or Resource Busy” error. So we need to find out what are all the processes using the mount point and kill those processes to umount the directory. By using lsof we can find those processes. The following will also work. The above command listed all the files opened by all users, expect user ‘ajoy’. The above command will kill all process belonging to user ‘ajoy’, which has files opened. The above command uses two list options, ‘-u’ and ‘-c’. So the command will list process belongs to user ‘lakshmanan’ as well as process name starts with ‘init’. But when you want to list a process belongs to user ‘lakshmanan’ and the process name starts with ‘init’, you can use ‘-a’ option. You can list all the TCP or UDP connections by specifying the protocol using ‘-i’. You can list all the NFS files by using ‘-N’ option. The following lsof command will list all NFS files used by user ‘lakshmanan’. A system administrator can use this command to get some idea on what users are executing on the system. If you like to view all the users who are using a particular file, use lsof as shown below. In this example, it displays all users who are currently using vi. Oracle recommends SEMMSL to be at least 250 for 9i R2 and 10g R1/R2 databases except for 9i R2 on x86 platforms where the minimum value is lower. Since these recommendations are minimum settings, it’s best to set it always to at least 250 for 9i and 10g databases on x86 and x86-64 platforms. If a database gets thousands of concurrent connections where the ora.init parameter PROCESSES is very large, then SEMMSL should be larger as well. Note what Metalink Note:187405.1 and Note:184821.1 have to say regarding SEMMSL: “The SEMMSL setting should be 10 plus the largest PROCESSES parameter of any Oracle database on the system”. Even though these notes talk about 9i databases this SEMMSL rule also applies to 10g databases. I’ve seen low SEMMSL settings to be an issue for 10g RAC databases where Oracle recommended to increase SEMMSL and to calculate it according to the rule mentioned in these notes. An example for setting semaphores for higher PROCESSES settings can be found at Example for Semaphore Settings. Oracle recommends SEMMNI to be at least 128 for 9i R2 and 10g R1/R2 databases except for 9i R2 on x86 platforms where the minimum value is lower. Since these recommendations are minimum settings, it’s best to set it always to at least 128 for 9i and 10g databases on x86 and x86-64 platforms. Oracle recommends SEMMNS to be at least 32000 for 9i R2 and 10g R1/R2 databases except for 9i R2 on x86 platforms where the minimum value is lower. Setting SEMMNS to 32000 ensures that SEMMSL * SEMMNI (250*128=32000) semaphores can be be used. Therefore it’s recommended to set SEMMNS to at least 32000 for 9i and 10g databases on x86 and x86-64 platforms.